We have many HUD approved homes available for rent and welcome Section 8 voucher clients. We provide Condominium, Commercial and Multi-Unit Community Management Services to many local communities. We are proud to manage all aspects of multi-unit developments and Home Owner's Associations. Our community portfolio currently contains over a 1000 units under management. We specialize in putting associations in the black by collecting delinquent home owner's dues and improving the quality of the community's living environment, security & safety aspects. Most of all, we treat each person in need of real estate related services as an individual and aim to serve their needs, using our extensive vendor and professional contacts data base and our decades of professional expertise. Patterson Property Management is an LCAM licensed Florida Property Management company. 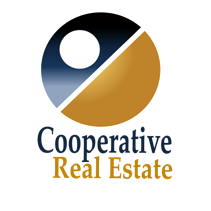 Are you a Real Estate investor or landlord in need of someone to manage your property? Our office can handle everything from tenant screening and procurement, rent collection, tenant relations, evictions, lease violations, repairs, maintenance, City Code and Association communication and mediation, to property inspections and security for absentee owners. Let us stand behind you with our many years experience in Property Management and maximize your cash flow for your investment rental property portfolio. Get checks, not headaches. Call our offices today.